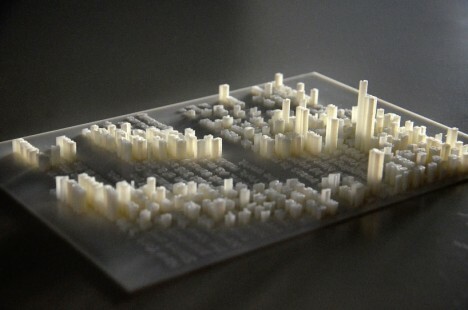 Like braille for the seeing, this 3D-printed text raises off the page to add an extra dimension of physicality and meaning to its subject matter, the end result resembling a cityscape made of typography. 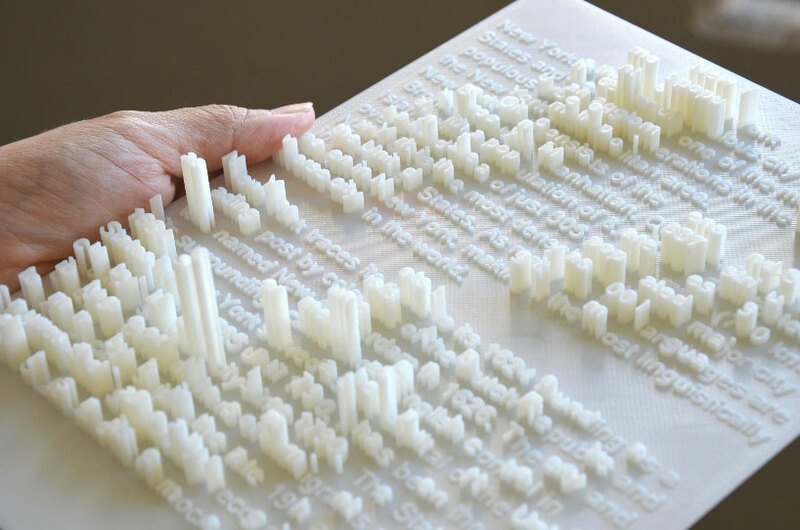 The ‘Textscape’ project by Hongtao Zhou includes actual braille, as well as various languages and alphabets, calligraphies and number systems. The intent is to connect the text to its visuality in architecture, landscape, portraits and ‘abstract matters,’ profiling it in a way that can be consumed both literally and intuitively. In this project, the text itself retains a legible meaning, while other letter-centric works often focus solely on the beauty of the typography. 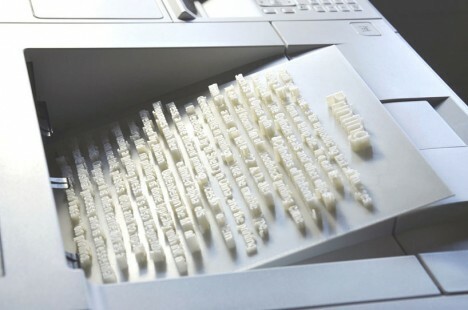 One example is Jaume Plensa’s monumental typographic sculptures. 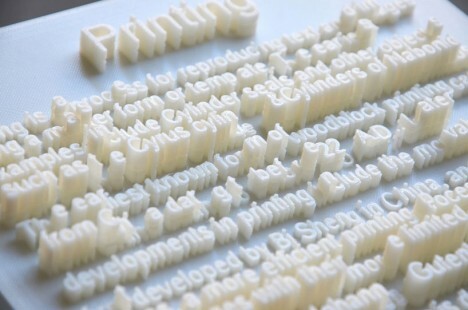 See 12 more works of typography art.